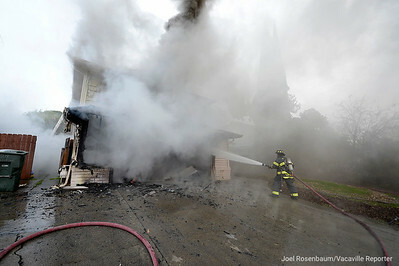 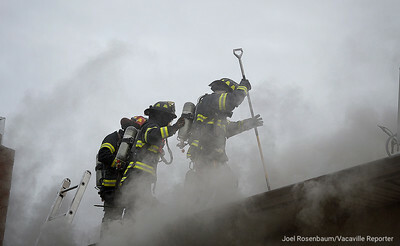 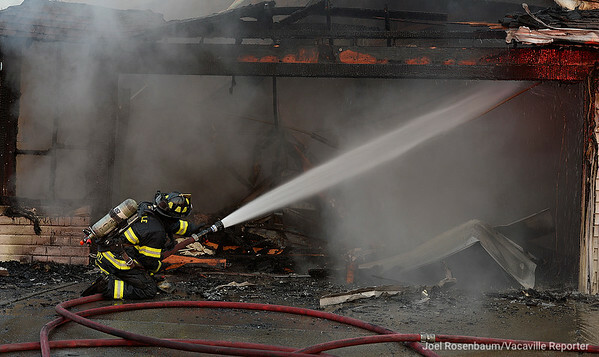 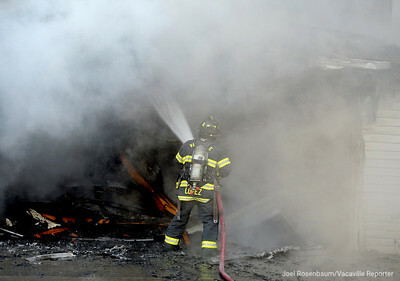 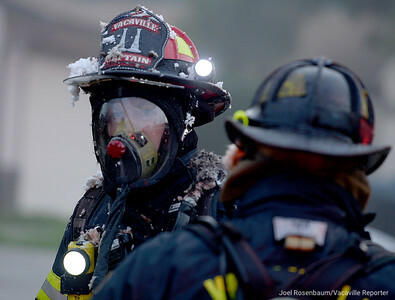 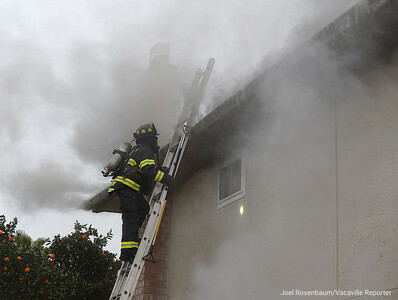 Smoke from a two-alarm structure fire at a home at 218 Plantation Way as Vacaville Firefighters battle the blaze. 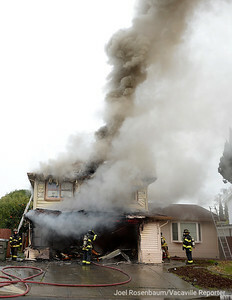 According to Acting Battalion Chief Jeramy Langwell, crews were dispatched at 4:45 p.m. to a report of a fire in the home. 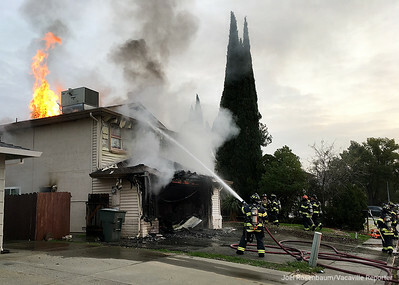 Upon arrival, crews found the garage fully involved and spreading to the attic at which point a second alarm was activated bringing mutual aid from the Dixon Fire Department, Vacaville Fire Protection District and the Fairfield Fire Department. 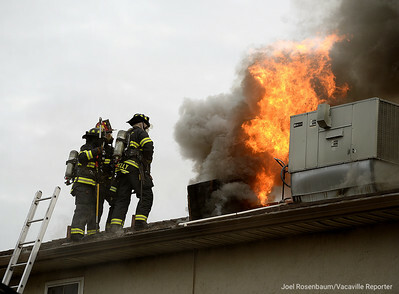 All the residents were out of the home.